Hosage means flower of precious appearance. It was introduced to Japan centuries ago by way of Persia and Central Asia. The design is sometimes referred to as imaginary flowers. 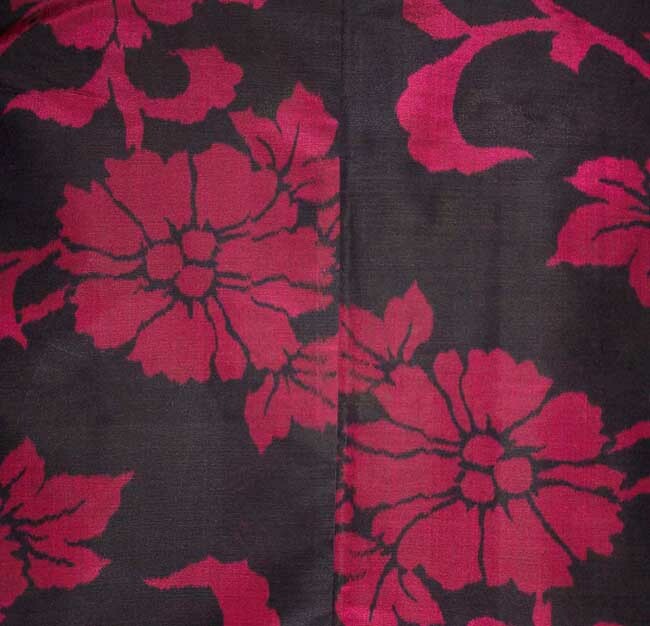 It is often treated as an arabesque in textile designs. 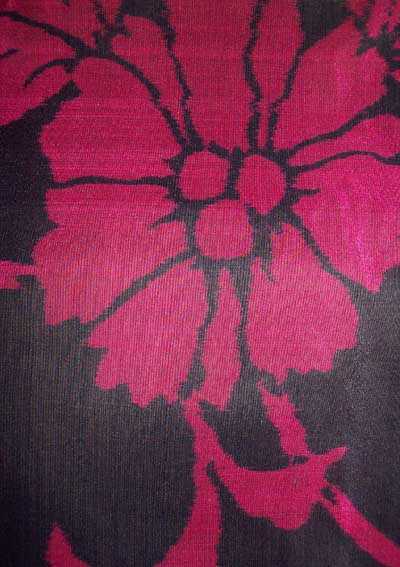 We love the fuchsia color on the black background. The design is applied by way of stencils. Notice the fuzzy edges of the design. This seems to be the way this cloth takes the stenciled pattern. We think it’s unique and particular to meisen. 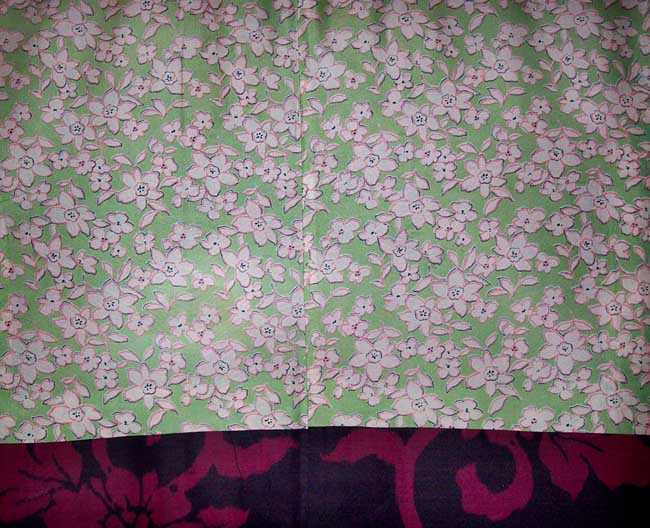 The haori is fully lined in white and pink floral print on spring green silk. The haori has its original ties. 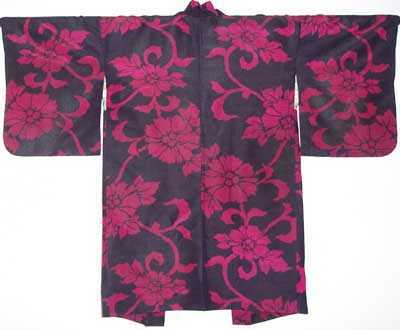 The haori has a one light stain on the back hem. It does not detract from the over all appearance. 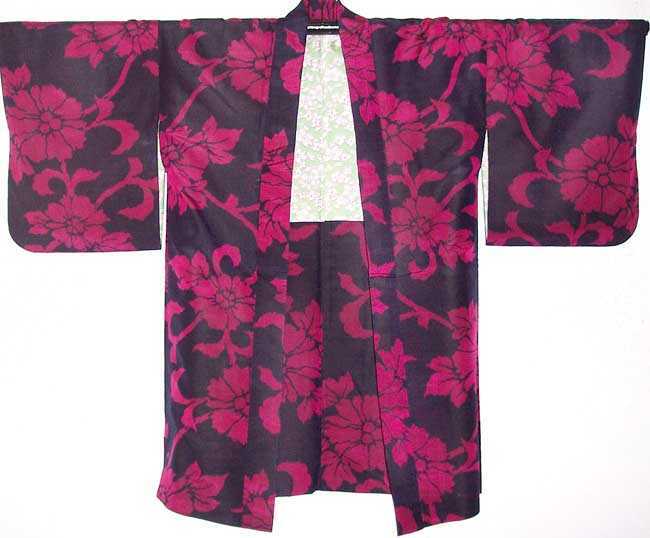 Haori Dimensions: 50” wide sleeve tip to sleeve tip X 37” long shoulder to hem.